Note: Click on any photograph and it should enlarge to full screen size. It will be clearer in detail than the photo on the post. It will be as if you were really there looking at the actual scene …..
Rick Aitken is my brother who lived with his wife Dianne (Di) and their children at Culburra for twenty years. Culburra is on the coast opposite Nowra in southern NSW, Australia but he has now moved to another location in Orange in New South Wales. He was a doctor down there and a pastor of a small church. We grew up at Wilson’s Creek in the 1950’s and 1960’s. Wilson’s Creek is about twenty minutes (about ten kilometres) up in one of the many valleys west of Mullumbimby, in the Northern Rivers area, in New South Wales, Australia. During this time, we both developed a strong spiritual (Christian) love of Creation, Nature, Country Living and the Environment. It was a hard and simple life with a Dad and Mum and three younger brothers (Gerald, Rick and Colin). My late father had come through the Great Depression of the 1930’s. His father had died when he was only thirteen and he had to leave home and fend for himself. He had learnt many lessons of self-sufficiency …. personally and economically. My late father had taught me by example, how to make things from the bare minimum of scrap, to turn unwanted scraps into useful items. Having come through the Depression days of the 1930’s, this was recycling long before recycling was a fashionable term. I had put this knowledge into good effect in the building of our future house. My mum taught me unknowingly to have a love of beauty, art and garden layout. She planted and arranged a huge flower garden around our simple house grown in the brown volcanic soil and abundant rainfall. 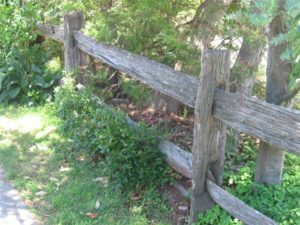 As an indirect consequence, I ran a small landscape design and construction company for 20 years from 1975 to December 1995, the year my very severe brain injury. I did very creative, individual designer gardens for wealthy residential clients in Brisbane. See the background to our upbringing in the post on our house. We live in Brisbane, over 1000 kilometres away, so we only see Rick and Di occasionally. In December 2007 and January 2008 our family was on holidays down at Thredbo which is a winter ski resort and wonderful mountain country in the summer time …. December and January in Australia. Harriet, my wife’s family, the Kent’s from Melbourne, have had a ski lodge at Threbo since 1959. We have free accommodation when we stay there. Threbo to Culburra is about 400 kms. north east of Thredbo. We stayed at their place for a few days as we drove slowly back to Brisbane. These are some of the things we experienced. See the details below. Rick Aitken’s Family Home 2008 …. Rick and Di’s house is on the south of the Shoalhaven River ….. They can go down these steps to their boat and be on the river …. The Family Eating Together …. Discover your own piece of beachside heaven at Culburra Beach, generally referred to as Culburra. Set between Crookhaven Head and Penguin Head, it sits to the south of the Shoalhaven River, with Wollumboola Lake to its south. With water on all sides, it’s a popular swimming, fishing and kayaking spot, and it’s also known for its excellent oysters.Culburra’s surf beach, Warrain Beach, is the closest surf beach to Nowra and the town’s main attraction, where you can also swim, fish or wander along its long sandy stretches. Here you’ll find the Nowra Culburra Surf Lifesaving Club. The beach is patrolled duringthe summer holidays. Culburra is also the regional centre for the villages east of Nowra; Currarong, Callala Bay, Callala Beach, Greenwell Point and Myola. 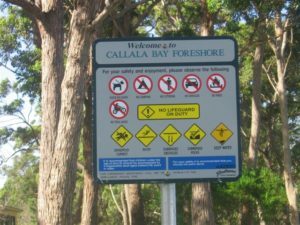 Culburra Beach also has a collection of handy shops, cafes and businesses just off Prince Edward Avenue.There are also many picnic spots in Culburra; check out Tilbury Cove, Crookhaven Heads or the shores of Lake Wollumboola. Lake Wollumboola is a coastal lake that intermittently opens to the ocean, and when water levels are high, it’s used for sailing, windsurfing and water skiing. At Crookhaven Heads, you can follow a walking trail to see the historic Crookhaven Heads Lighthouse. Boating, rock fishing and deep-sea charters for marlin and tuna fishing are also popular. Just 10 km from Nowra, the waves at Culburra Surf Beach average about 1.4 metres in height. Patrolled during the summer holidays, it enjoys a variety of surf conditions depending on the weather and the swell. Discover your own piece of beachside heaven at Culburra Beach, generally referred to as Culburra. Set between Crookhaven Head and Penguin Head, it sits to the south of the Shoalhaven River, with Wollumboola Lake to its south. With water on all sides, it’s a popular swimming, fishing and kayaking spot, and it’s also known for its excellent oysters. Culburra Surf Lifesaving Club. The beach is patrolled during the summer holidays. The Family Fishing Trip ….. 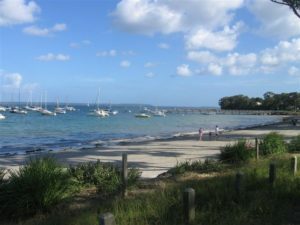 While we were at Culburra, Rick and Di took us to see two towns on Jervis Bay: Huskisson and Jervis Bay. See notes below. Twenty minutes south east from Nowra and on the shores of the famous Jervis Bay, you’ll find the historic township of Huskisson with a population of around 1,600. This town is a great location from which to be based for exploring the Jervis Bay Territory and other great areas of the beautiful Shoalhaven. Huskisson had a major boat building industry at the turn of the century and you can gain an insight into this pioneering industry by visiting the Lady Denman Heritage Complex. This popular attraction houses a maritime museum and is also the site of the Lady Denman Ferry. This stately old lady is a fine example of the area’s shipbuilding. After gracefully ferrying passengers across Sydney Harbour for many years, the Lady Denman now sits in retirement for your enjoyment at this fascinating complex. Fishing and tourism are today’s main industries. Huskisson also offers some interesting shopping with an aboriginal art and crafts centre and a great trading post that will fascinate you for hours with its collection of antiques, bric-a-brac and other secondhand goods. Modern licensed clubs, a comprehensive shopping centre and a wide range of services ensure you’ll enjoy your visit. Find the world’s whitest sand beach at Jervis Bay, located 3 hours south of Sydney. 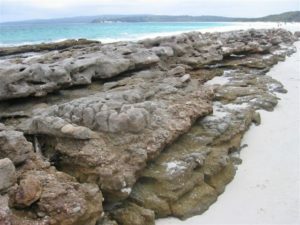 Get travel information on Hyams Beach, Booderee National Park and more. With powder-fine sand and clear turquoise waters, the beaches of Jervis Bay on the New South Wales south coast are amongst the safest and most beautiful in the world. At its southern end, Jervis Bay is enclosed by the pristine wilderness of Booderee National Park. 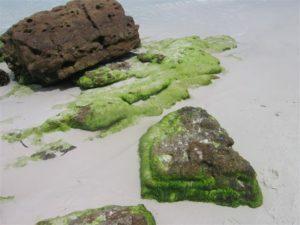 From Wreck Bay village in the park’s south, a walking trail circles the peninsula to St Georges Head, passing a succession of quiet beaches, cliffs and forests. Hyams Beach officially has the world’s whitest sand. The many beaches, lagoons, secret coves and hidden creeks of Jervis Bay are perfect for all types of aquatic activities. Jervis Bay is a unique combination of coastal, marine and hinterland landscapes offering fantastic bushwalking, cycling, camping, indigenous culture and maritime heritage. Here you will find some of the purest and whitest-sand beaches in the world. 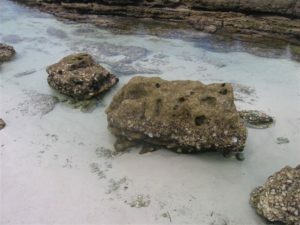 Jervis Bay is encircled by Booderee National Park (formerly Jervis Bay National Park), St Georges Basin and the ocean. The area is rich in Aboriginal heritage and teeming with native Australian wildlife on land and sea. 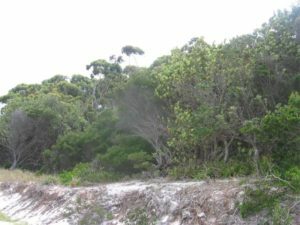 Booderee National Park is owned by the Wreck Bay Aboriginal Community and has always been a significant place for the Koori indigenous people. ‘Booderee’ is an Aboriginal word meaning ‘bay of plenty’ or ‘plenty of fish’. Jervis Bay has earned a reputation amongst fishermen as one of the best land-based game fishing spots for giant marlin in the world. Enjoy a wide range of walks, surf at Cave Beach or swim in the tranquil waters of Green Patch beach. Learn about Koori culture and traditional foods and the ancient medicinal uses of the plants of the area at the Booderee Botanic Gardens. At the award winning Lady Denman Heritage Complex you’ll find hundreds of historic maritime items and educational displays about the marine environment. Harriet Aitken enjoying the beach and sand …..